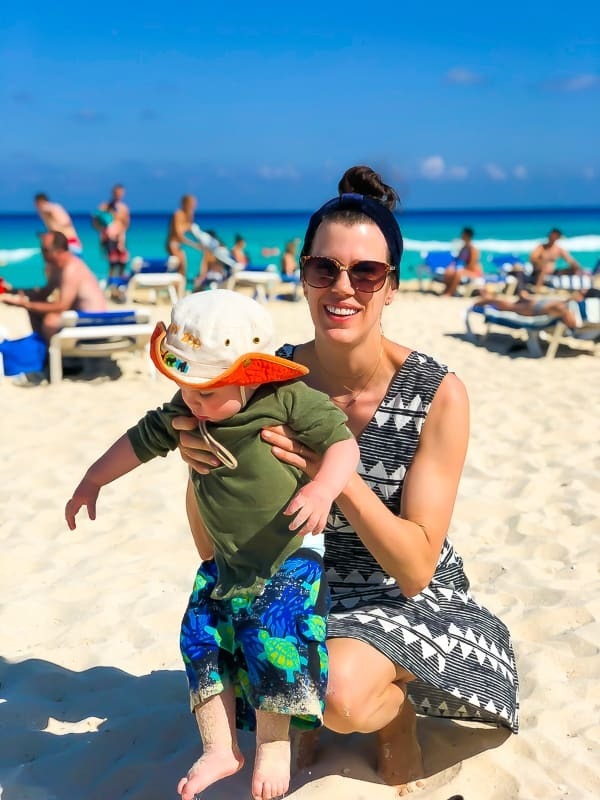 Sharing the details of our recent trip to Cancun Mexico with two littles! 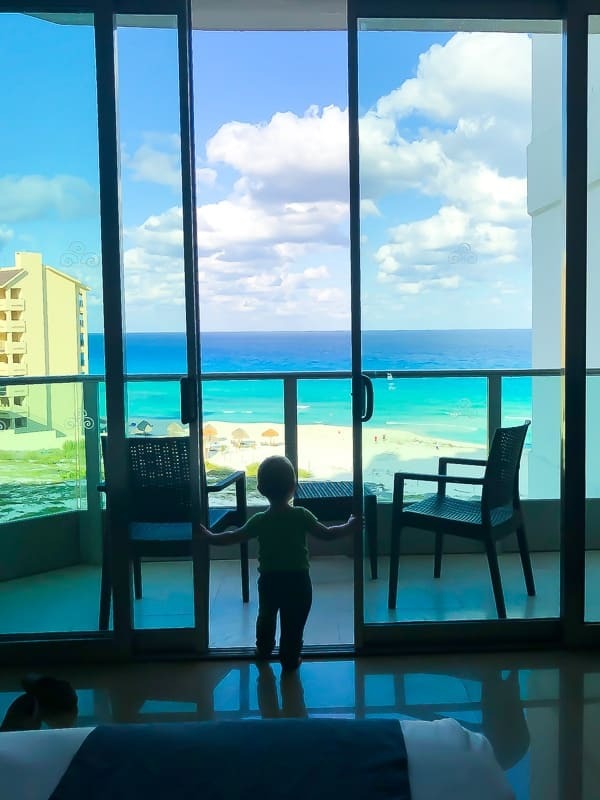 Sharing a Seadust Cancun Family Resort review! Disclaimer- I paid for this vacation out of my pocket, however some links in this post are affiliate links, meaning I’d get a small commission if you purchased through them. As always, all opinions are my own! I knew we needed to get out of town for Spring Break this year, and after a brutally cold winter, Mexico started to look pretty darn good! 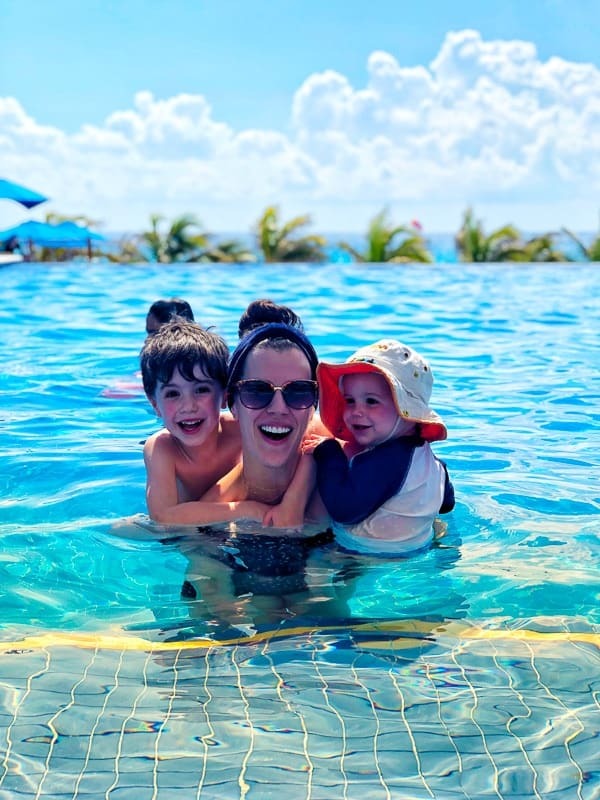 After browsing the Trip Advisor website, I saw the Seadust Cancun Family Resort and knew it would be perfect for my busy little boys because waterslides. pool. beach. games room. baby room. kids club. If I’ve learned one thing from travelling with two little boys, it’s that there is no such thing as too many activities for them. And it turns out we picked really well because everyone had an absolute blast! These flights were hard with a 1.5 year old. I’m not going to lie. He is BUSY, he is still not entertained by a tablet, and this time around, he didn’t easily sleep, which meant a lot of work for us. bring toys, snacks, a tablet with their favorite song (baby shark, anyone?). Basically anything that might distract them. remember the big picture: beaches, sunsets, family memories. It’s going to be worth it! Kai (our 5 year old) was such a good traveller this time! He has come leaps and bounds since we first started travelling with him. He is happy to watch the tablet and to lay down when he feels tired. I know Zeph will get there with time and practice. 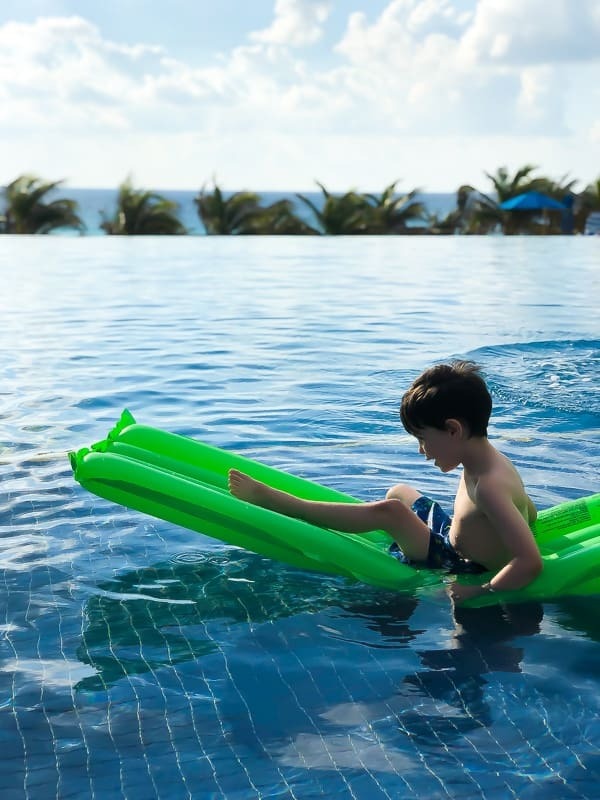 I picked the Seadust Cancun Family Resort for one reason alone: all the activities for kids! It turned out to be a great pick, because the resort was full of families with young kids and tons of fun things to do. We stayed in a family room, which had a king sized bed for Ben & I, bunk beds (which Kai was thrilled about! ), and they put a play pen in the room for Zeph. I loved that it had a little nook for the kids, so when naps/bed was happening we weren’t tip toeing around as much. We had what was called a ‘partial’ ocean view, but look at it! We were pretty happy with that view. Most of the time, we ate at the buffet, which had a huge selection. It was easy enough to find food that everyone in our family would eat. I highly recommend the Mexican food section, as it was the best by far for me! 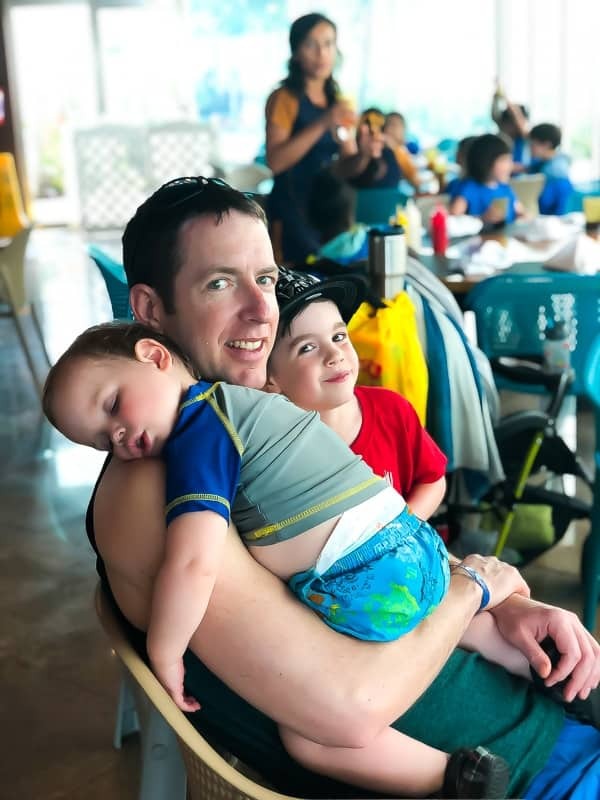 The Seadust Cancun Family Resort has a number of restaurants as well, but since our kids are not ‘restaurant kids’, eating out with them was stressful, which is why we ate at the buffet most of the time. The other issue we had was the selection of foods was often not healthy at all, so we did try to limit our meals at the other restaurants. Waves- is the poolside restaurant which serves pizza, french fries, chicken wings, etc. And margaritas! Carousel- near the waterslides and kids area. Serves chicken nuggets and french fries. 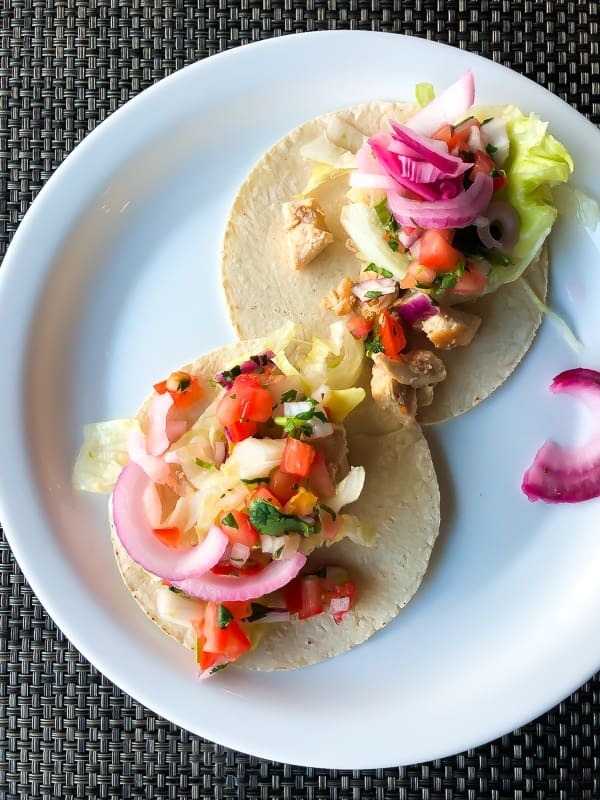 Dinner Restaurants- we did try the Mexican Restaurant (El Maguay) and the Lighthouse Restaurant. 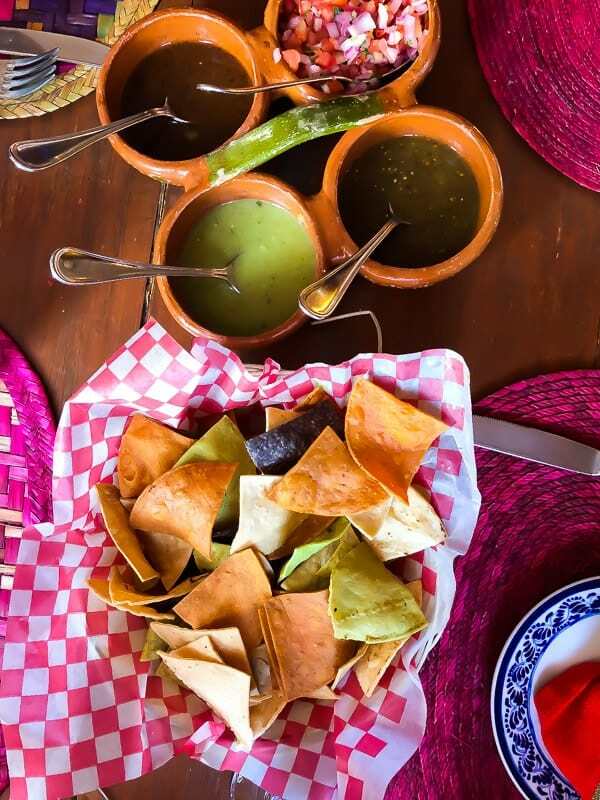 The food was best at the Mexican restaurant! 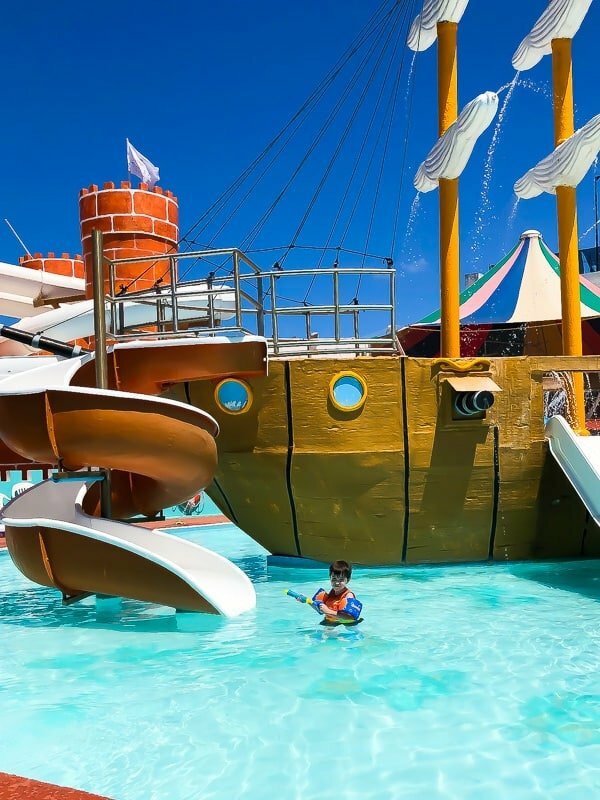 The main draw for the Seadust Cancun Family Resort is the waterslides! Here’s a photo of Kai outside the pirate ship waterslide. He was too nervous to go on the slides (he didn’t want to get his hair wet), but most kids were having an absolute blast. Ben had fun going down the castle water slides that you can see on the other side of the wall. There is a warm baby pool that Zephie splashed around in a bit, and there is also a baby play area with a play structure that Z had a blast climbing on and running around. Kai loved the kids club and begged us to drop him off there! They will watch your kids for up to 3 hours at a time and will even take them for dinner at the buffet. Kai wanted to go for dinner with Kids Club because he got whatever he wanted for dinner (LOL). After 3 hours, you can check on your kids and they can stay longer if they want. We let Kai stay till 9pm the last two nights because he was having so much fun. They also have a baby club where they’ll watch your 18 month + kids for up to 2 hours (I think?). Z was not a fan, but turns out he was fighting off an infection so he was extra fussy those days. Towards the beach side of the resort is a beautiful infinity pool with three levels. It was great when the sun was out but a little cold on days when the sun was hiding. stake your claim on a poolside chair before you go for breakfast by leaving a towel on your chair! My favorite memories of the whole trip were in the pool. It was great for the kids and a fun place to be. Super convenient having the pool restaurant right there if anyone gets hungry and we don’t want to get fully dressed for the buffet. 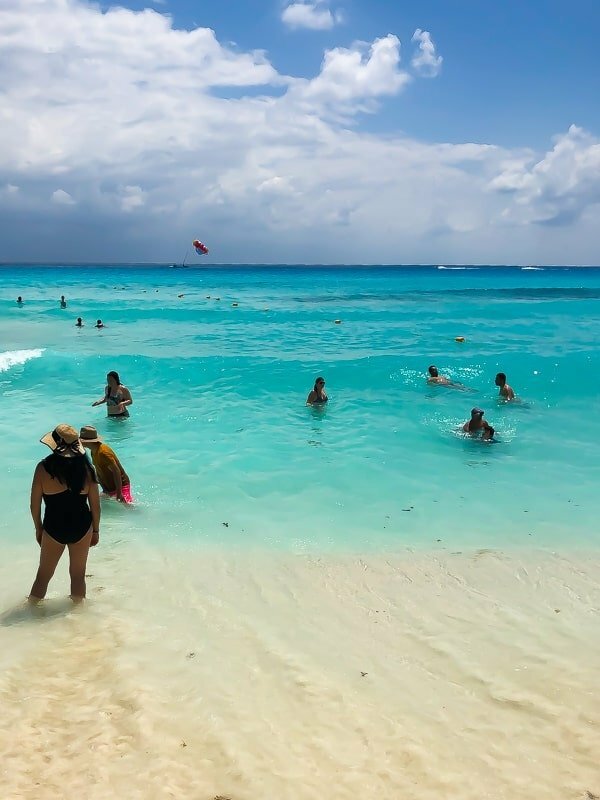 The water in Cancun is absolutely unreal…I’ve never seen so many shades of blue! It’s also so pleasantly warm and the waves were fun to play in. The beach was a fun place to hang out but is still a bit much for the baby. 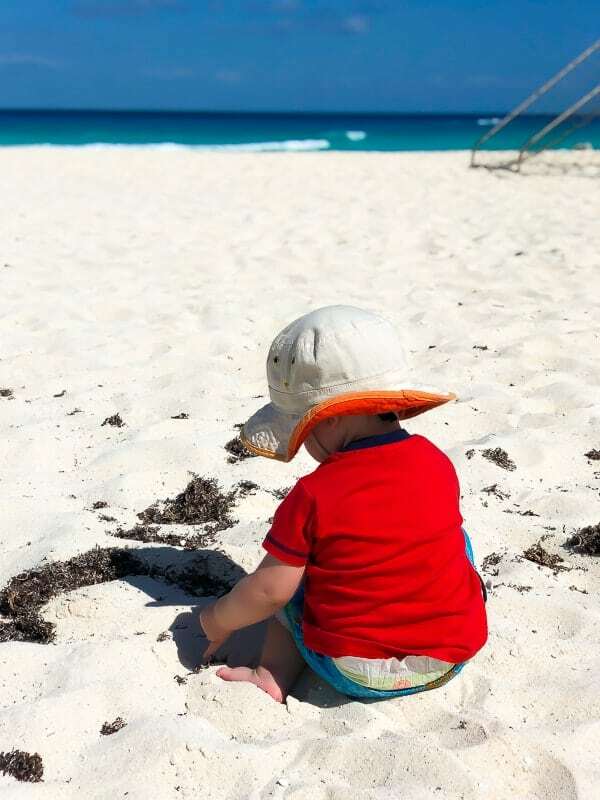 So much sand, and the sun was pretty intense for him…so we only really spent one day at the beach, and the rest were at the pool. So. That is about it for our family holiday! We didn’t even leave the resort, and it was perfect. Honestly, with a 1.5 year old, you are somewhat limited. I can see how much fun it is going to be when he’s a bit older! My advice? Travel with your kids. It is hard, but each time we travel, it gets a bit easier. pay the extra money to book your seats together on the flight- both times, we were not seated together and it added stress to the trip for sure. arrange time for yourself each day- Ben gave me an hour to do what I wanted and I did the same for him. 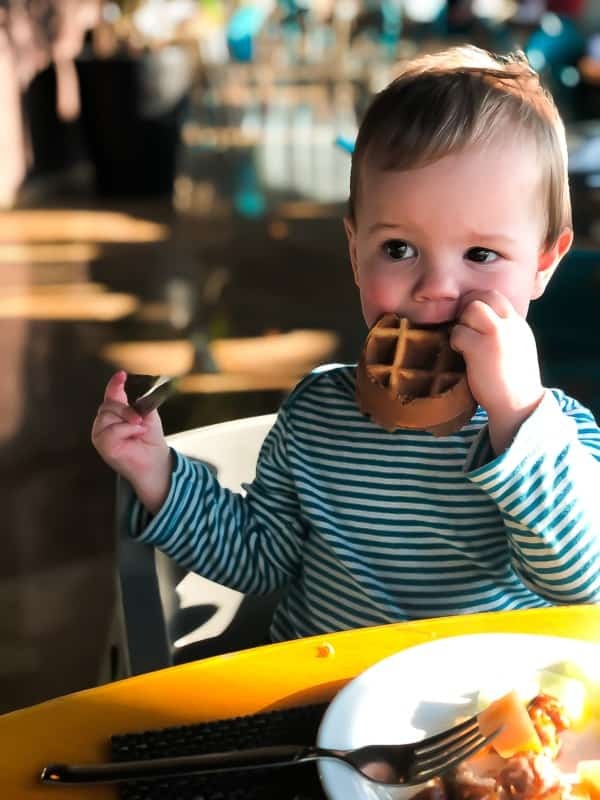 You NEED a break when travelling with littles. bring money with you- we totally forgot to bring any US cash with us and were without tip money for a few days. Definitely would arrange this beforehand next time! That’s our trip in a nutshell! 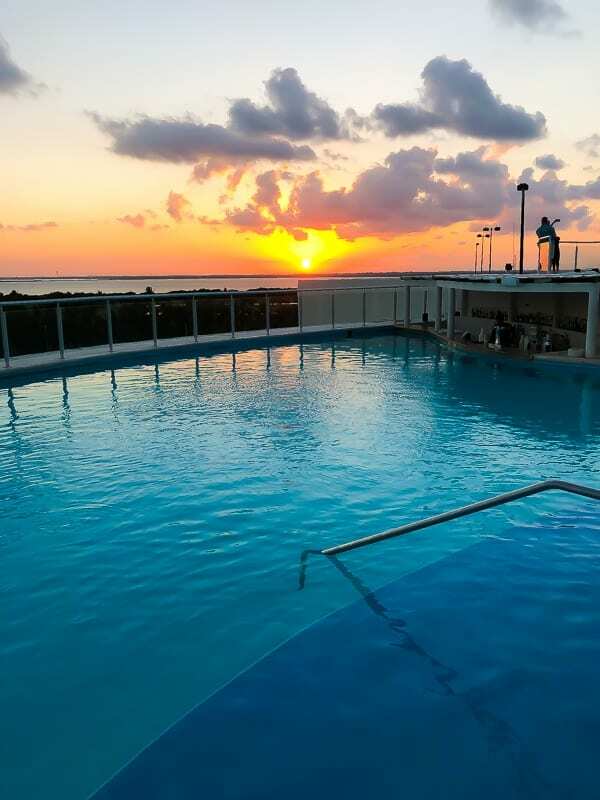 Do I recommend the Seadust Cancun Family Resort? YES. Particularly if you have young kids. Hi! i will be traveling to cancun soon. 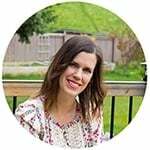 i have a two year old and wondering if i need to take a carseat for her? and also what transportation did you use to get from the airport to seadust resort? Hi Julianna! We didn’t bring a carseat. Because we booked a vacation package, Air Canada had a bus to take us to the resort. If you don’t have a vacation package, I’m not entirely sure but there were a TON of taxis around you could probably take! The ride from the air port to hotel was about 15 minutes. Hope this helps!